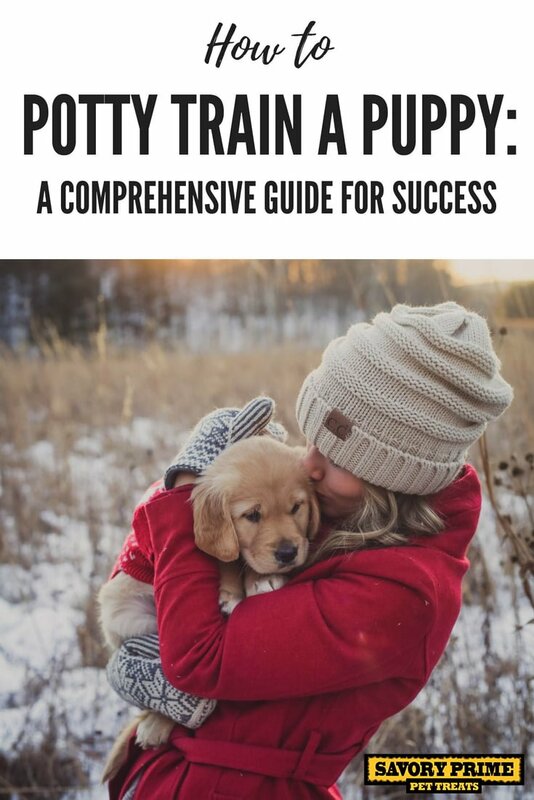 Teaching your new puppy to potty at the right time and place is one of the most important first steps you can take for a long, happy life together. House soiling is among the top reasons why dogs lose their homes or end up in shelters. Few people are willing to put up with a dog who destroys rugs and flooring, or who leaves a stinky mess that you have to clean after a hard day at work. That’s why it’s so important to make sure that you do some research in advance, decide what will work best for your own situation, and make a plan. Let’s explore some of these concepts in depth. 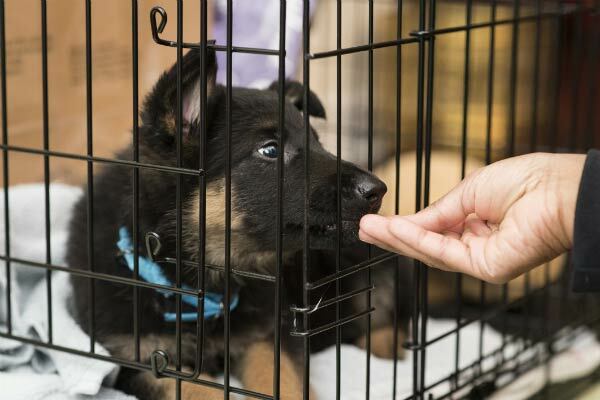 Many people new to dogs cringe at the idea of confining their puppies in a crate, but the reluctance to use this tool generally evaporates after a few days of living with a new pet. Crates make life easier. 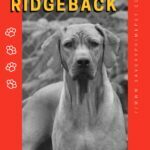 It’s a good idea to get your dog accustomed to one for many reasons, such as vet visits, travel, convalescence, and safety. 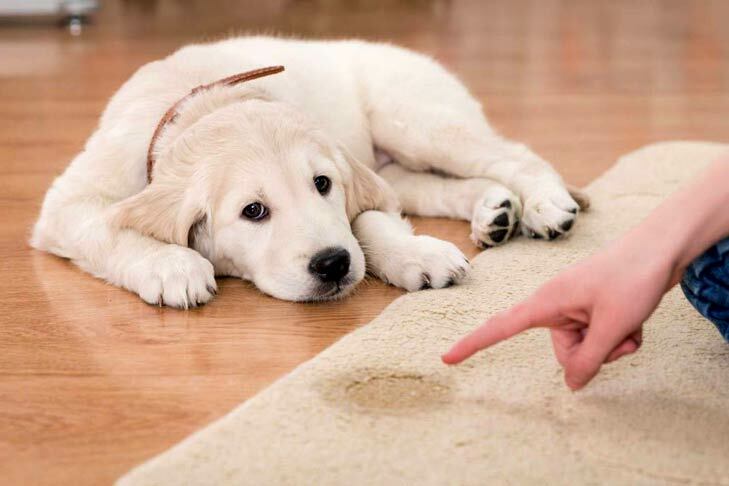 The principle behind using a crate for housetraining is that dogs are very clean creatures and don’t like a urine-soaked rug in their living spaces any more than you do. It’s important that the crate is the right size—just large enough for the dog to lie down, stand up, and turn around. If it is too large, the dog will feel that it’s OK to use one corner for elimination and then happily settle down away from the mess. Many crates come with partitions so you can adjust the size as your puppy grows. When she feels an urge, the puppy will usually let you know by whining and scratching. That’s her signal that she has to go and wants out of her little den. Now! Don’t delay because if you let your pup lose control in her crate, she’ll get the idea that it’s OK to mess up her living space. Then she’ll think nothing of leaving little packages around where you live, too. Dr. Burch says the use of puppy pads and paper training can be “tricky because you’re reinforcing two different options for the puppy.” In an ideal situation, pups would learn to hold it indoors and only eliminate at specific spots outdoors. But some cases may require a bit of creative thought, such as a person who has a job that makes it impossible to get home several times a day, or for a tiny dog living where the winters are brutal. Puppy pads give a dog the option of relieving herself in an approved spot at home. After the dog matures, the owner can then work on having the dog do her business outdoors all the time. This is vital to housetraining success. Puppies have tiny bladders, and water just runs right through them. The same holds true for solid matter. Goes in. Goes out. You have to make sure you are giving your puppy ample opportunity to do the right thing. A good guide is that dogs can control their bladders for the number of hours corresponding to their age in months up to about nine months to a year. (Remember, though, that 10 to 12 hours is a long time for anyone to hold it!) A 6-month-old pup can reasonably be expected to hold it for about 6 hours. Never forget that all puppies are individuals and the timing will differ for each. 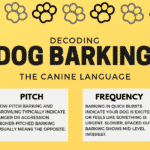 You have to watch your puppy carefully to learn her individual signals and rhythms. Some puppies may be able to hold it longer than others. Some will have to go out every time they play or get excited. Some will stop in the middle of a play session, pee, and play on. As with human babies, canine potty habits are highly idiosyncratic. Puppies have immature digestive systems, so they can’t really handle a lot of food. That’s why it is recommended that you break up the feedings into three small meals. Another thing to keep in mind is the food itself, which should be the highest quality. Whatever you choose, make sure it agrees with your puppy. Examining their stool is the best way for an owner to figure out whether it’s time for a change in diet. If your puppy is consistently producing stools that are bulky, loose, and stinky, it may be time to talk to your vet about switching to a new food. Overfeeding may also provoke a case of diarrhea, which will only make the task of housetraining that much more difficult. Scolding a puppy for soiling your rug, especially after the fact, isn’t going to do anything except make her think you’re a nut. Likewise, some old methods of punishment, like rubbing a dog’s nose in her poop, are so bizarre that it’s hard to imagine how they came to be and if they ever worked for anyone. On the other hand, praising a puppy for doing the right thing works best for everything you will do in your life together. Make her think that she is a little canine Einstein every time she performs this simple, natural act. Be effusive in your praise—cheer, clap, throw cookies. Let her know that no other accomplishment, ever—not going to the moon, not splitting the atom, not inventing coffee—has been as important as this pee. If your dog has an accident, says Dr. Burch, don’t make a fuss, just clean up the mess. A cleaner that also kills odors will remove the scent so the dog will not use it in the future. Blot up liquid on the carpet before cleaning the rug. 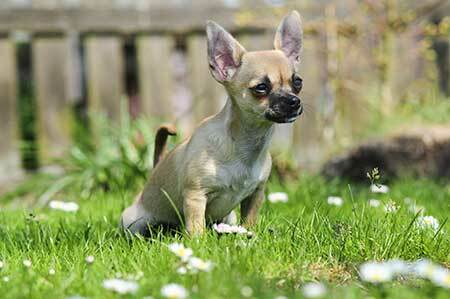 If you catch the dog starting to squat to urinate or defecate, pick her up and immediately rush outside. If she does the job outdoors, give her praise and attention. Remember that when it comes to housetraining, prevention is the key. Following these rules will usually result in a well house-trained puppy. But sometimes, it doesn’t go as planned. Dr. Burch notes that sometimes house soiling is a sign of a physical issue. “Well before the several month’s mark, a dog who has seemed impossible to housetrain should have a good veterinary workup,” she says. If your vet finds that your dog is healthy, the next step is to find a trainer or behaviorist who has had experience with this issue. “My lapdog is piddling all over the house!” This is common among people who own toy dogs. Some trainers recommend teaching little dogs to use indoor potty spots, in much the same way as a cat uses a litter box. In addition to piddle pads, there are actual potty boxes for indoor use. Other trainers say that with consistency, you can house train a little dog. It just may take a little additional time, attention, and effort. “My dog keeps peeing in the same spot where she had an accident.” That’s probably because you didn’t clean up the mess efficiently and there is still some odor there, signaling that this is a prime potty spot. 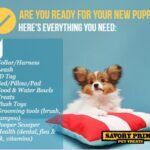 In your new puppy supply kit make sure you have plenty of enzymatic cleaners and carefully follow instructions on using them. “I gave her the run of the apartment. When I came home, there was a mess.” This is a common mistake among dog owners. They see some early signs that the dog is getting the idea, and declare victory too soon. Even when the puppy is consistently doing what you want, keep to the schedule to make sure the good habits are ingrained. 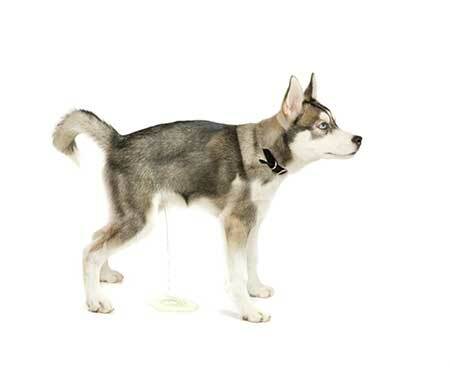 Assess how well your dog can control his bladder and bowels when not in the crate. Carefully controlling diet and schedule. Give frequent trips outside, including after every meal, first thing in the morning and last thing at night. If you work, consider a dog walker. Clean everything so there are no odors left. That can vary considerably, says Dr. Burch. There are many factors to consider, such as age, learning history, and your methods and consistency. An 8-week-old puppy is very different developmentally than a 5-month-old puppy. 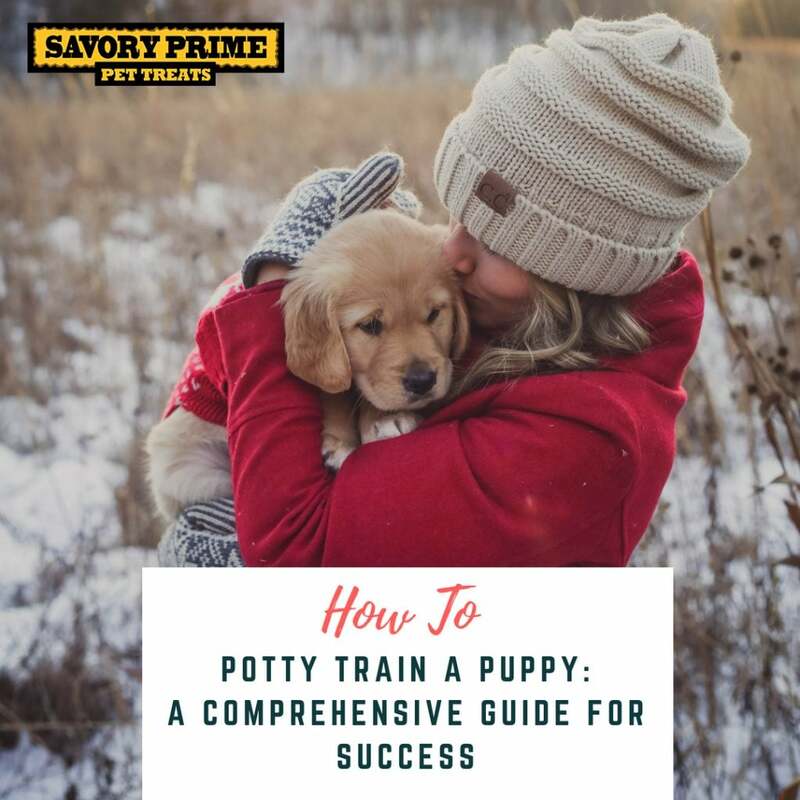 If your pup came from a responsible breeder who was already working on the basics with the whole litter, this puppy will have a better grasp, a head start, in a way, on the basics of potty etiquette. Some puppies have perfect manners after just a few days. Others can take months, especially if the dog has had a less than ideal situation before coming to you. With patience and persistence, though, most dogs can learn.